As a writer, I am always fascinated by the differences in techniques for various forms of entertainment media. Over my career I’ve written numerous articles, 30 published novels, two produced playscripts (performed far, far from even off Broadway), one screenplay (unproduced and unlikely to see the big screen) and even a published poem. So, I’ve thought a lot about writing over the years but never about the techniques of doing a graphic novel, a book that uses illustrations to help convey the story. You might say it is a comic book for grownups. 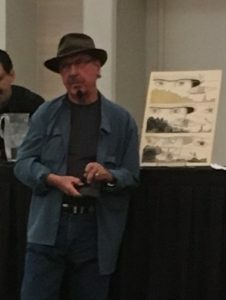 During a session at the Western Writers of America meeting in Kansas City last week, I had the pleasure of meeting David Morrell, who identifies himself as “the father of Rambo” and as a writer of graphic novels, including projects on Wolverine, Spider-Man and Captain America: The Chosen. Morrell explained how to write and format a “script” for graphic novels. When you look at a graphic novel, you might think there’s little to write except for dialogue. But in reality, the writer must describe the visuals for each panel and then use appropriate dialogue, thoughts or sound effects for the illustrations. Creatively, developing a graphic novel is more akin to writing a screenplay than a novel, as it requires visuals and stylized action in addition to dialogue. To use the movie analogy, the graphic novel author is the writer, director and producer, all rolled into one. 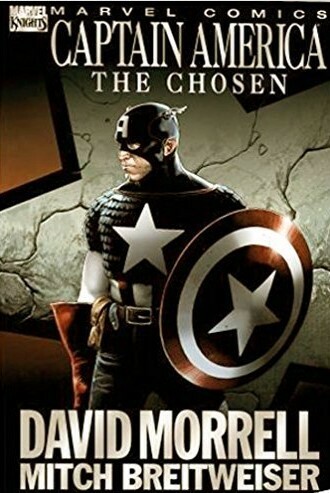 In addition to the writer, graphic novels require an illustrator and a colorist to produce. Morrell did a great job of explaining the nuances of graphic novels and the artistry behind them. 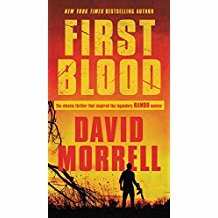 He is best known as the author of First Blood, the novel on which the Rambo movie franchise was built and a novel he described as a Western in disguise. Morrell has also written several other novels set in the southwest and Last Reveille, a historical novel on “Black Jack” Pershing’s pursuit of Pancho Villa into Mexico after the Columbus, New Mexico, raid in 1916. One of the great things about WWA is the interesting people you meet, such as Morrell, and the opportunity to learn from them about creative writing in its many forms.